The Digital Life team uses digital photogrammetry to create our 3D models. The concept of photogrammetry dates back hundreds of years, but the practice of digital photogrammetry has flourished in the past 5 years. Digital photogrammetry consists of integrating digital images, such as from a camera to create complex 3D geometries that are overlaid with a 3D color map (also known as a UV map). The results from photogrammetry can be striking, and can result in startlingly realistic 3D scenes with rich and detailed colors. Indeed, digital photogrammetry is emerging as one of the most flexible and disruptive technologies in the world, and is now widely used in forensics, art, archeology, palentology, entertainment, among others. However, the Digital Life team is unique in its devotion to using this method to create 3D models of life on earth. The Digital Life tea uses the Beastcam technology platform to create its 3D models of organisms. 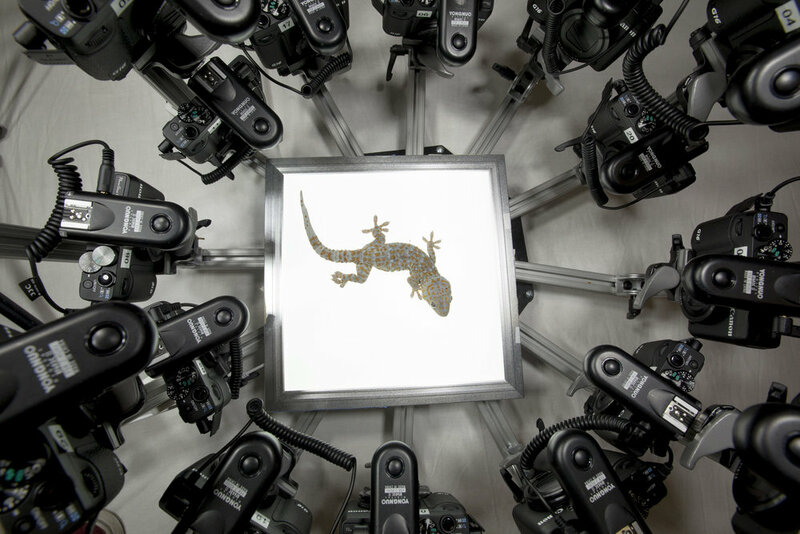 The Beastcam technology is a set of devices that are customized to capture living organisms in 3D using the process of photogrammetry. The technology was created at the University of Massachusetts at Amherst by Duncan J. Irschick and collaborators, and has been used to create 3D models of organisms as diverse as sharks, lizards, snakes, frogs, flowers, fungi, and invertebrates. The defining features of Beastcam devices are portability, ease of use, and flexibility. Because organisms vary greatly in size, the Digital Life team has created devices of varying sizes, ranging from the original handheld Beastcam, the MACRO (for organisms ~1-9 inches in length), the ARRAY (~4-16 inches), and the STAND (~ 16-70 inches). 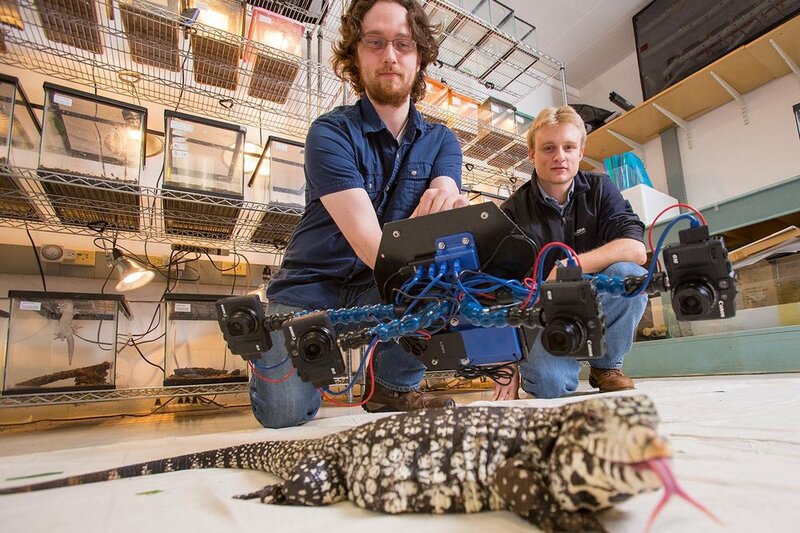 The original Beastcam - UMASS Amherst undergraduates Dylan Briggs and Kasey Smart are shown taking images of a Tegu using the original handheld Beastcam. The Beastcam MACRO - This 24-camera system is compact and designed for 3D capture of small organisms ranging in 1-9 inches in length.